You may think this photo is from a trip to Yellowstone National Park but you would be seriously wrong. Just this week, Rocket Roy Lowe, Robert Sullivan and Joel Hope, all Foothills TU members, got together for a trout fishing outing in the Smokies. 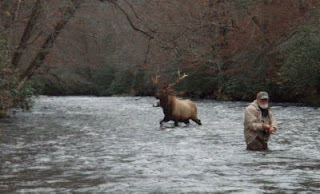 Now we all know Fall fishing in the Great Smoky Mountains National Park is awesome for more reasons than just the fish. 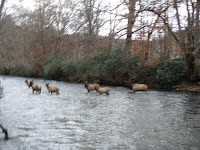 The weather and the scenery are superb and the chance to spot an elk would just be icing on the cake. 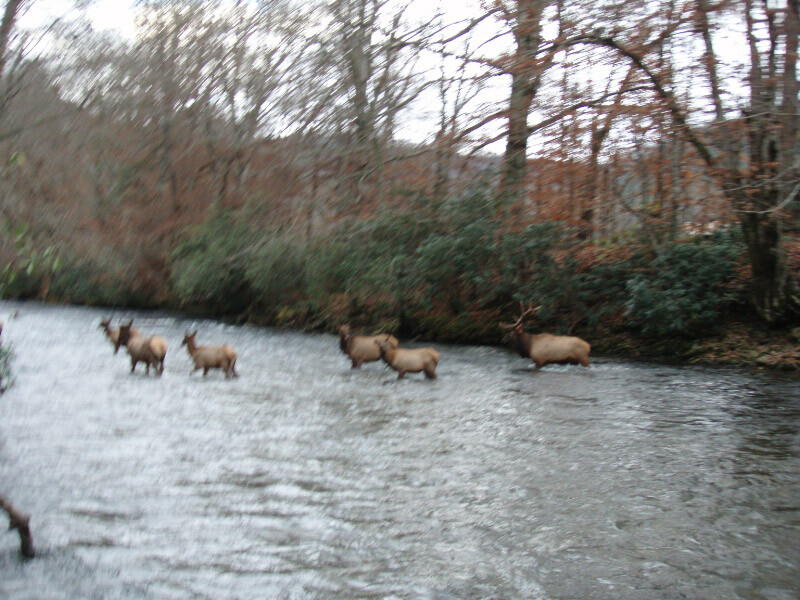 As you can see, this trio did much more than see some elk; they became part of the herd! With so many of our larger streams running too high to safely fish, the Smokies offer a fabulous alternative within easy driving distance. Oh, and by the way, they had great success fishing with the moderately high water level.